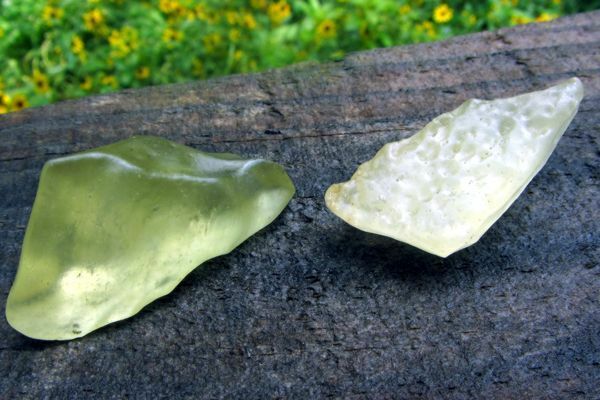 Libyan Desert Glass is also called Libyan Gold Tektite. These unusual stones embody within them the vibration of the Golden ray, a powerful spiritual energy. The metaphysical properties of these crystals are very impressive, and they are recognized as powerful manifestation tools. They are a golden yellow color, and vibrate strongly within the solar plexus chakra, which is the seat of the will in the body. This area works as a psychic shield, and these stones help the process by creating a strong resonance in this area. They are highly protective and are a beneficial stone to strengthen your will. "At present there is a conflict of evidence concerning the origin of tektites, a conflict that is only complicated by the introduction of refined instrumental methods of research. They appear sui generis, one of the unexplained natural science phenomena." This statement is still valid almost a quarter of a century later. 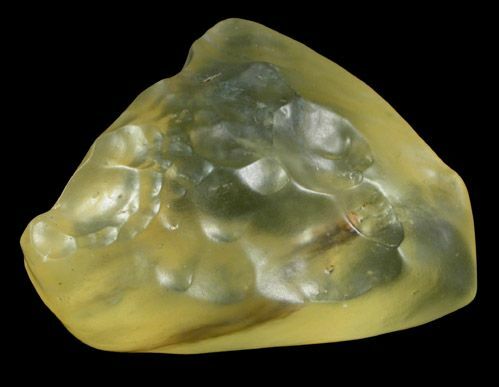 In relation to all other tektite groups, Libyan Desert Glass exhibits a noteworthy number of unique attributes. ◦ Bubble types: 100% of included bubbles are lenticular or irregular. By products of ancient atomic warfare. (07-22-2017, 01:46 AM)Frigg Wrote: [ -> ] By products of ancient atomic warfare. Exactly, what I was thinking. Or, something that helped construct the pyramids. The green-hued moldavite stone from the Czechoslovakia is said to be a stone formed by meteorite impact with other-worldly qualities of energy. Love hearing about the libyan desert glass. Checking prices on eBay, looks like a fancy I won't be owning. But very cool to know about. I hope they don't find those in Oregon 1000 years from now. 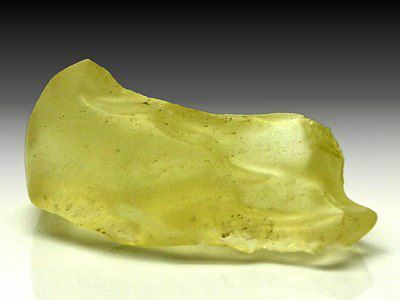 Curiously, Libyan Desert Glass contains trace amounts of iridium which is an element not native to earth. (07-22-2017, 09:45 AM)Fringer Wrote: [ -> ] The green-hued moldavite stone from the Czechoslovakia is said to be a stone formed by meteorite impact with other-worldly qualities of energy. Love hearing about the libyan desert glass. Checking prices on eBay, looks like a fancy I won't be owning. But very cool to know about. Holy crap! Prices have certainly increased since I bought mine.